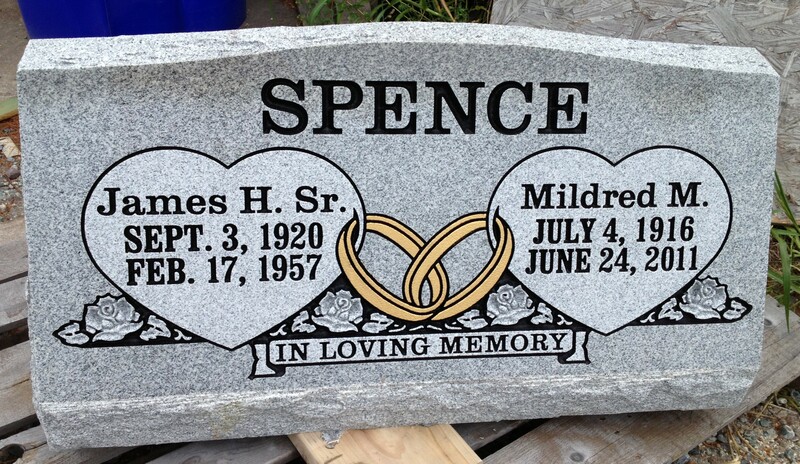 Here is a picture of the competed monument for James H. Spence, Jr and his wife Mildred M. Spence. 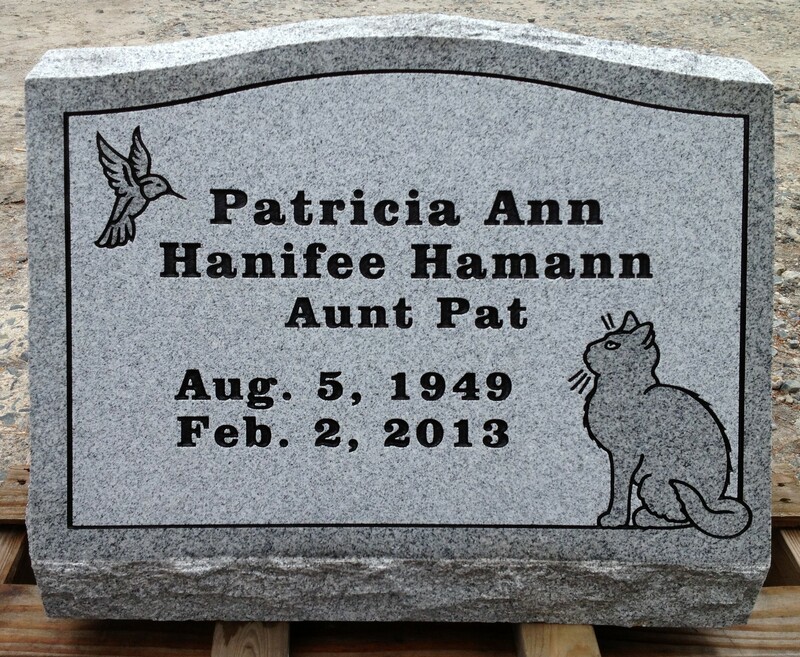 Here is a picture of the completed monument for Patricia Ann Hanifee Hamann. 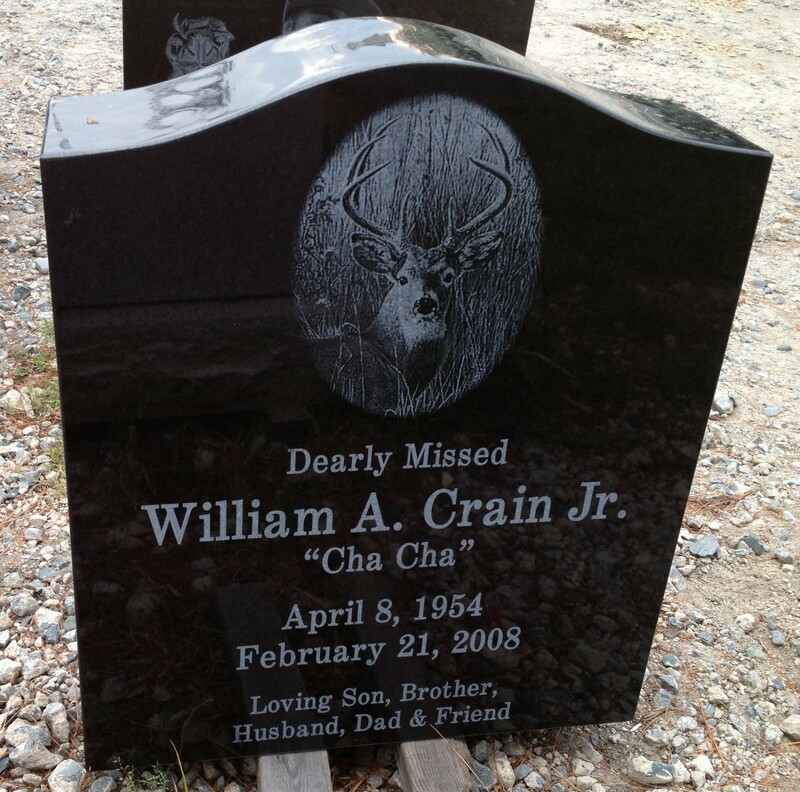 Completed Monument For William A. Crain, Jr. Here is a picture of the front and back of the completed monument for William A. Crain, Jr.
To review our Sandblasting Designs, please click the following link, which will take you to the Sandblasting Designs page of our website. To review our Laser Etched Designs, please click the following link, which will take you to the Laser Etched Designs page of our website. 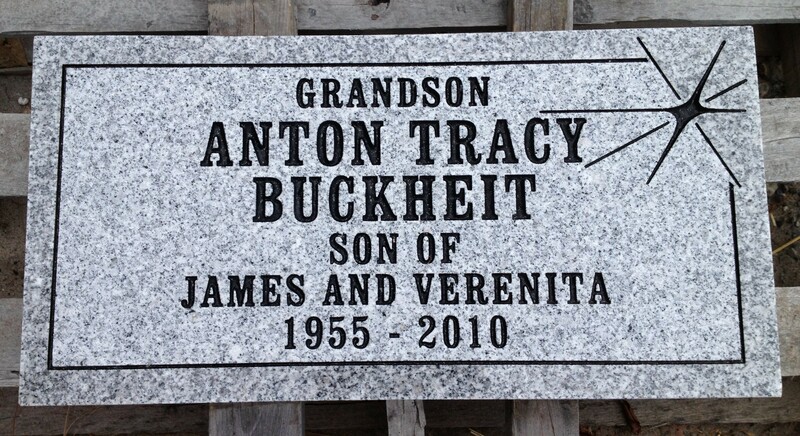 Please keep in mind that all monuments which can be laser etched, can also be sandblasted. You are only limited when your monument requires only sandblasting. 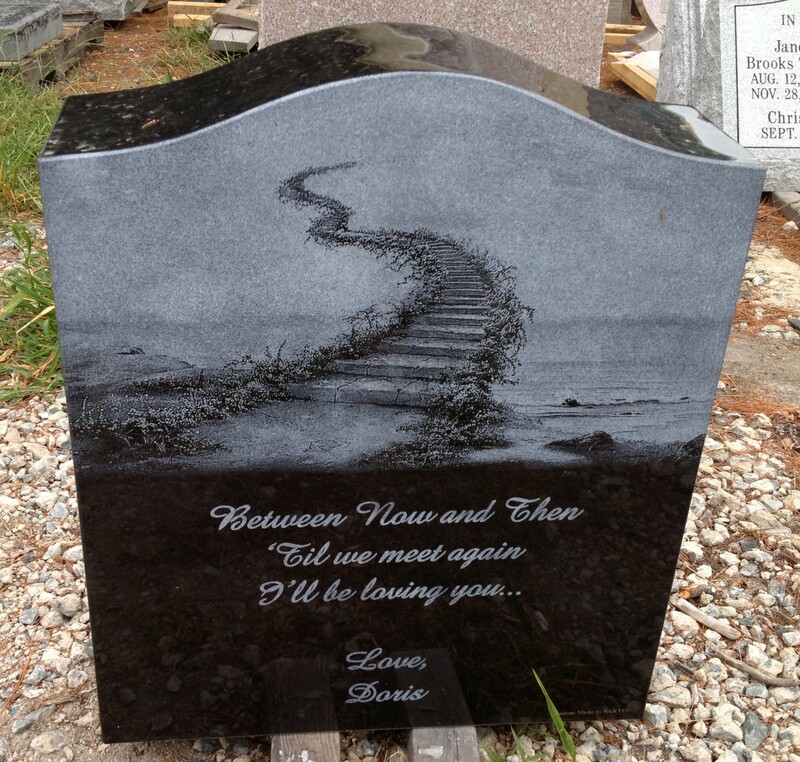 If you have any questions regarding designing your monument, or to get started placing your order today, please call us at 877-836-0332 or send us an email at info@mlestones.com. Here at Mike’s Laser Etching, we not only work with local clients, we also work with clients who live all over the United States! We even ship monuments all the way to Alaska! Step One: Browse our website http://www.mikeslaseretching.com, to decide which monument you would like to purchase and design. Review the different designs and fonts available and decide which you would like to use. Step Three: Receive the price for the monument and make a payment. We accept credit cards, checks and money orders. Please do not mail cash! Step Four: Review the preview provided by our graphic artists. Once you are satisfied with the design of the stone, sign the preview approval form and return it to us via fax or email. Step Five: Once you have been notified that the stone is complete and installed, go take a look and let us know what you think!